During the 2012-13 fiscal year, we accomplished some significant victories by working together and marshaling our resources to get legislation passed, solve regulatory issues, respond to media sensationalism, and monitor state elections. Maximized our political impact by keeping our members informed of legislative and policy issues so they could effectively communicate with their elected officials. Further developed the Council as the “Go To” Organization on behavioral health and child welfare: The Council has established itself with DHS, DES and AOC as the organization that they want to work with to find solutions to problems and to bring the provider voice to policy development. The Governor’s Office has included us on the team working on Medicaid and is working with us on the BBHE bill and appointments to the BBHE board of directors. Juvenile Detention Alternatives Initiative: The Council has represented the behavioral health community on this AOC initiative. A committee of Maricopa providers and the RBHA was convened to develop alternatives to detention for juveniles with behavioral health issues that developed recommendations for diversion for assessment and treatment. Council staff will present a workshop with AOC at the UA Rural Health Conference this summer to present the JDAI initiative and what is happening in the rural counties where it is much more difficult to develop resources. This will stimulate more discussion in rural counties to help in the development of alternatives to detention throughout the state. Membership Growth and Retention: In 2008 we had 68 members. We now have 81 committed members, despite tough economic times. 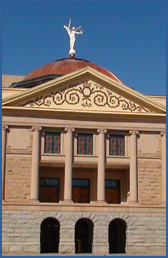 Same Day Access Project: The National Council awarded a Technical Assistance (TA) contract to Arizona for the Same Day Access Project. The Council project included 9 agencies that have been working on this for the past six months. We will draw from their experiences to benefit the larger membership. The media training that we did as part of the St Luke’s Health Initiative grant paid off this year as evidenced by the effective advocacy of our members and our broader PR statewide committee that was developed as part of the grant. Our media consultant has worked with us to get the client stories before the media. We also worked together with our residential treatment providers to mitigate some of the negative publicity in the Arizona Republic series. We advocated with the Arizona Republic to remove some the client information that was reported on their web site.